No, they’re not mutant hamsters although you might (just might) be forgiven for thinking that. 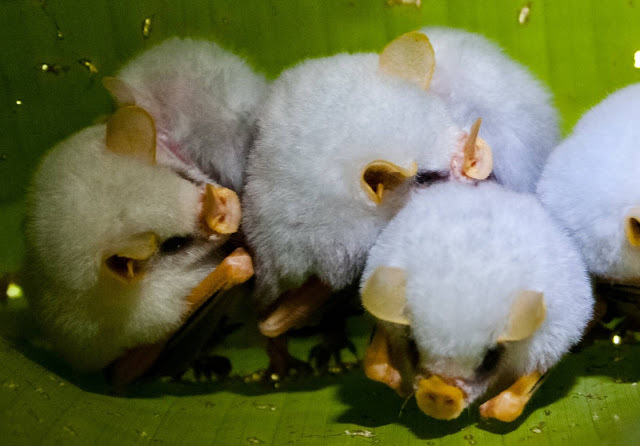 It’s a rare beasty called the Honduran White Bat and is found only in handful of Central American countries. It’s not albinism either; the species has evolved its white fur as a form of camouflage. You may think that would warrant inclusion in this year’s Darwin Awards, rainforests being predominantly green, but the Ark in Space website has the answers. 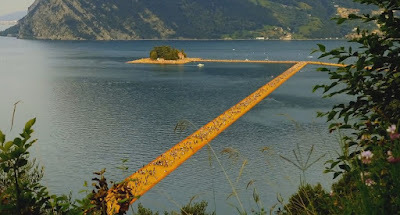 Take a Hyperlapse trip down The Floating Piers Art Installation on Lake Iseo, Italy by artist Christo and Jeanne-Claude. Over 8,900 still images, photographed every second for nearly 2 miles, were combined together to create this moving piece of art. Film produced by Dorian Iriabrren owner of Motion Filmworks. However, don’t rush off to Lake Iseo – the installation has now finished its run and you will need a boat instead! At the end of a treasure map lies the prize and Sir Moros is determined to claim it as his own. When that prize turns out to be the cutest baby dragon in the land then he knows that the hand of the princess, riches beyond his imagination and the keys to the kingdom are in his grasp. Or are they? Created by a group of six very talented students at the National Centre for Computer Animation, Bournemouth University, Chivalry is Dead shows that UK students can hold their own against their better funded counterparts around the world. It also shows that a nifty little play on words can enhance an already outstanding piece of work even further. That’s the million dollar question – the ten million dollar question probably being what am I going to do about it? However, for now let’s start with the first question. The Atlantic went out on the streets of New York and asked its denizens to ponder that age old question. Out of the mouths of babes, perhaps, come the most amusing but the wisdom of the older New Yorkers shine through (there’s a little cynicism, of course, thrown in for good measure). 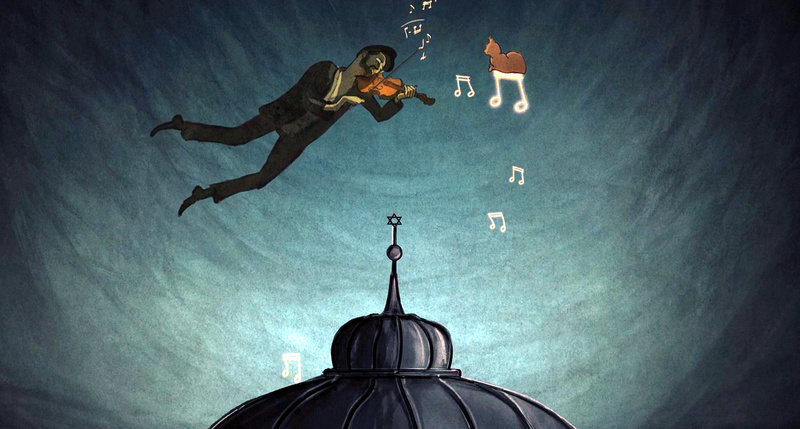 Tel Aviv’s Museum of the Jewish People (Beit Hatfutsot) recently commissioned Arik Boas Animation to create a series of snapshots of life in and around European synagogues throughout the centuries. It is part of its new exhibition - Hallelujah! Assemble, Pray, Study – Synagogues Past and Present. The result is something rather special. We start with the Ashkenazi Synagogue of Venice, in the 16th century. Religious instruction for children takes place inside, alongside a wedding ceremony in the piazza. It’s time to fast-forward to Amsterdam in the seventeenth century. We witness the city’s Portuguese Synagogue, passing through Torah study in the back room, into a spirited community discussion at the main hall. Finally we arrive at a cantorial concert taking place in The Great Synagogue (Tlomackie) in the Polish capital Warsaw in the early twentieth century. I don’t know if there are more pieces in this wonderful collection but will add them if and when I discover there are. This last animation is I think my favorite with its fiddler completely off the roof. Did you spot the time-traveling cat which made an appearance in each of the animations? No? Perhaps you had better check through them again! Let’s combine the internet’s two main obsessions, cats and selfies. 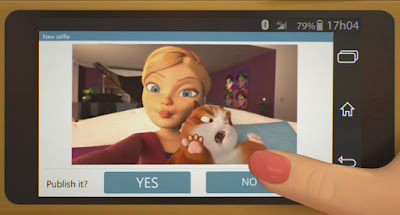 This animated short features a cat lover who is in a competition for the most likes of a selfie with her moggy. Unfortunately her rival is getting lots more likes so she has to make sure she gets the selfie of the century with her rather reluctant cat. 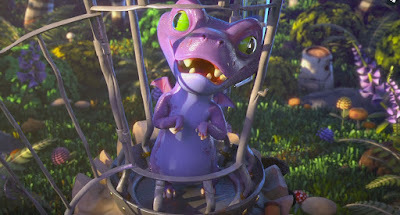 Chaos obviously ensues in this enjoyable animated short by a group of talented ArtFx students. 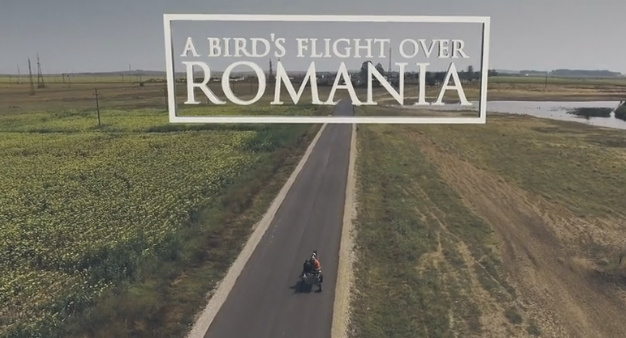 I imagine you’ve always wanted to soar over Romania (specifically) like a bird so now here is your opportunity. Take flight (courtesy of GRTA Studio and its DJI Phantom 3 4K. My second favorite part of this video is where the fisherman looks up from his boat as the drone passes overhead. The best part? The awesomeness that is the wibbly wobbly Transalpina road, the first time I have seen it like this. Fantastic. Nine miles outside the small northern Lithuanian city of Siauliai, the countryside is suddenly interrupted by something quite astonishing. 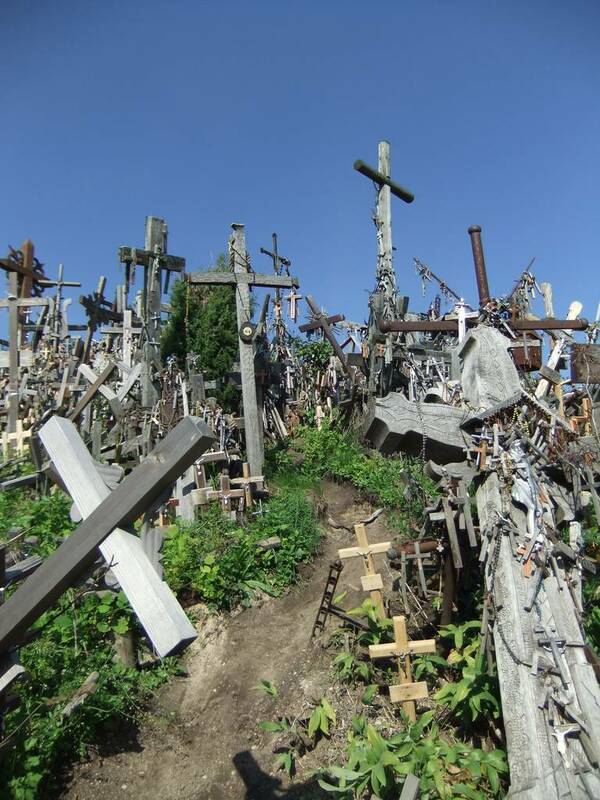 Thousands upon thousands of crosses have been placed upon this low rise of land. As well as symbolizing the deep Christian devotion of many Lithuanians they are also a testament to the Baltic nation’s struggle against oppression. It is thought that crosses first began to appear at this spot in the thirteenth century, shortly after the city was founded. Since then there have been varying numbers of crosses at the site. 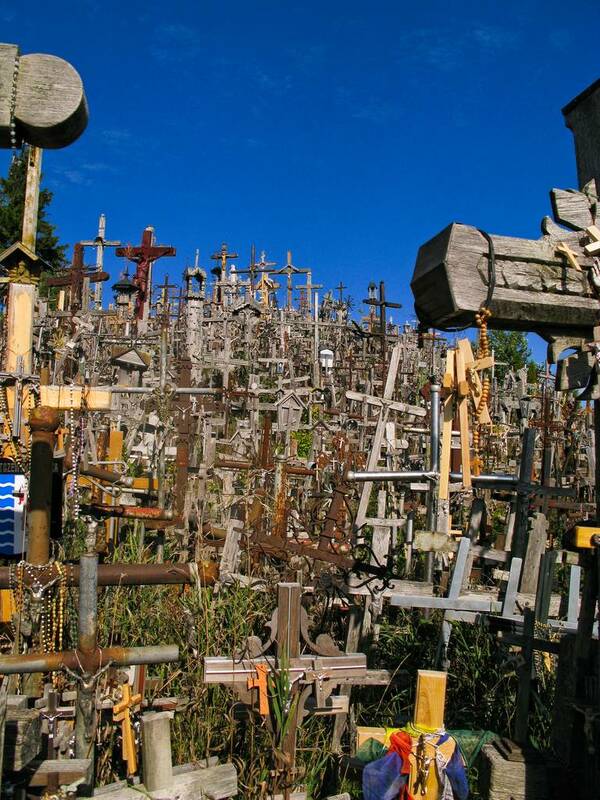 It was in the 1831 uprising against Russia that the Hill of Crosses became political as well as purely religious. Crosses were placed here to commemorate the dead and missing rebels of this period and by the beginning of the twentieth century there were 150 crosses. By 1940 there were 400. Today there are over 100,000. It is one of the most well-known buildings in the world. It is, possibly for that reason, easy to take it for granted when seen from afar. 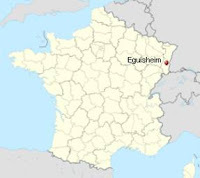 After all, by 2010 over 250 million people had visited it. Yet up close it reveals another side to its character. 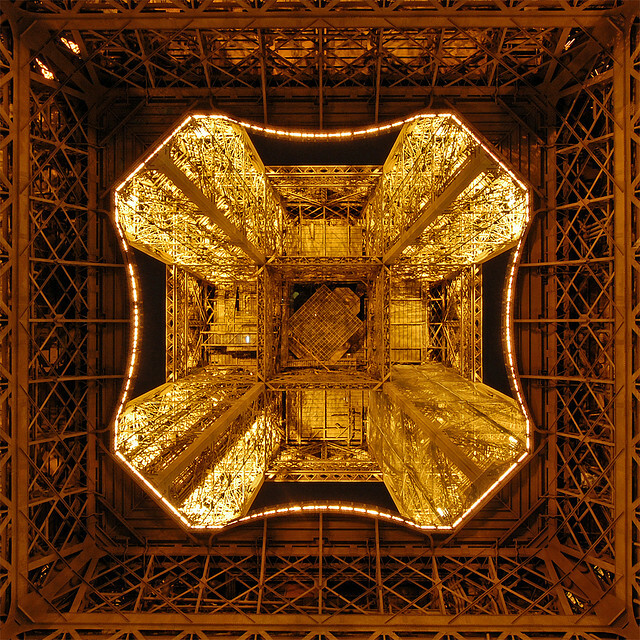 When seen from different perspectives, the Eiffel Tower regains the power to astonish. 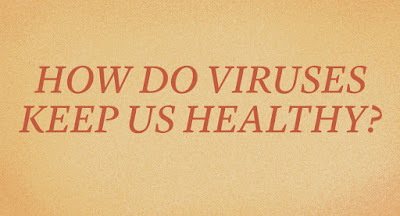 About 8 percent of our DNA is made up of viruses known as Endogenous Retroviruses (ERVs). Over millions of years, these viruses have embedded themselves in our genome and now play an integral role in the functioning of our immune system. In this short video, The Atlantic’s science writer Ed Yong explains how the very things that once made us sick now keeps us healthy. If you remember the 1980s then you may well remember the pilot episode for a science fiction series that never was. Captain Spaceman shone brightly for a single episode but was never, ever shown again. It seems that it was considered not quite appropriate for its target audience. 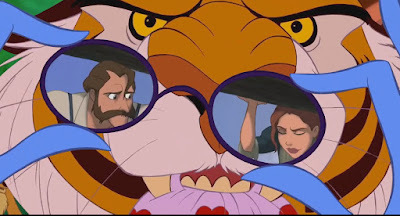 Yet so many people fell in love with the eponymous lead character and his trusty sidekicks Ecang and T.3D that this first episode was forever seared in to their memories, despite the refusal of any channel to ever, ever broadcast it again. Now, thanks to a little serendipity, the lost episode has been discovered on an old VHS tape, hidden away in a box in an attic in a house in a street for decades. 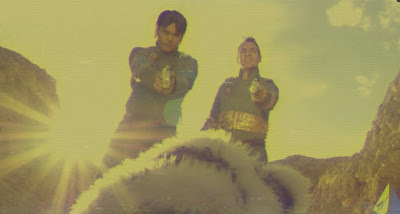 So, sit back and enjoy an unashamed nostalgia fest as you can final relive your childhood with Captain Spaceman – the lost episode, written and directed by sci-fi visionary Dontae Carter. Have you ever encountered someone who, simply put, hates you – but for no apparent reason or certainly not one that you can divine yourself? 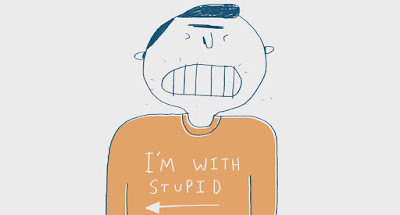 It’s often quite a shock and the person at the receiving end of it can often run a gamut of emotions as they try to logic out why their new enemy feels such hatred towards them. Directed, animated and designed by Luiz Stockler and written and narrated by Alain de Botton, On Being Hated shows us that learning to cope about this kind of hatred, without panic, belongs at the core of wisdom. Copehill Down is situated on Salisbury Plain in the English county of Wiltshire. Built on the windswept chalk plateau it looks, at a cursory glance, a peaceful and welcoming place. Stonehenge is just a short drive away and the area around it is rich with history. Yet look again and you get the feeling that something isn’t quite right. Where are the people? And the houses – the architecture doesn’t look quite as English as perhaps it should. 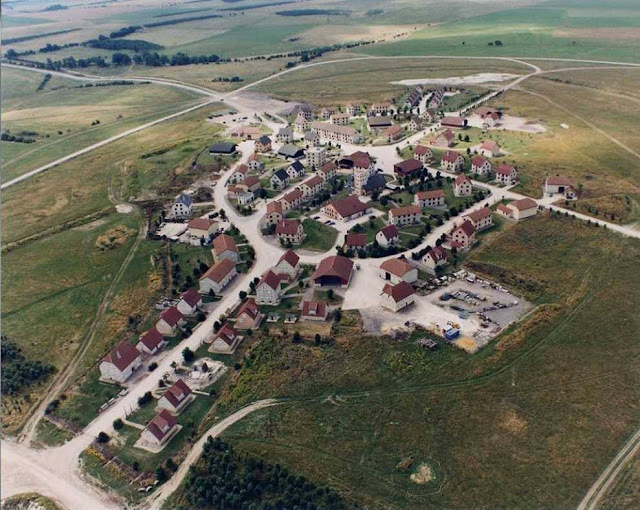 Copehill Down is a sleepy English village with a difference. No one lives there. No children play in the neat gardens around the houses. No worshipers go to mass on a Sunday at Saint Jude’s church. 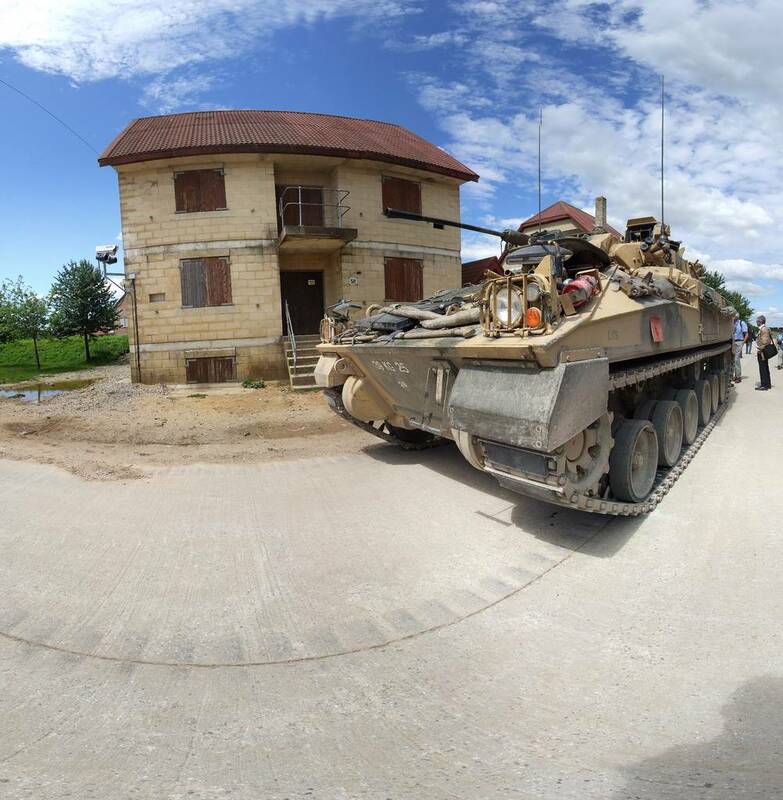 The village is a mock-up or, more accurately, a FIBUA – an acronym standing for Fighting in Built Up Areas. The pictures you will see here are closer than most people will ever get to the village as civilian access to Copehill Down is generally restricted. 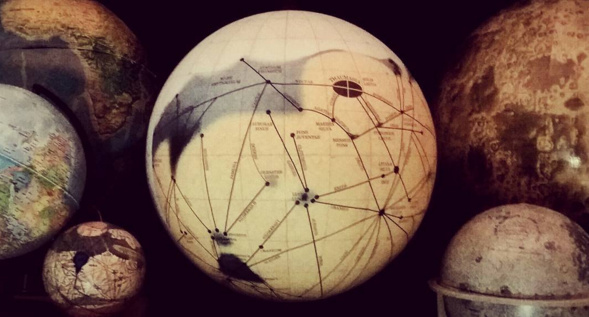 Imagine what it must have been like to be the first person to set foot on a new continent. You may not have realized that was quite what you were doing, but the sense of complete isolation from the rest of humanity must have been as exhilarating as it was frightening. Documentary maker Murray Fredericks has created this amazing footage of the outback of Australia. 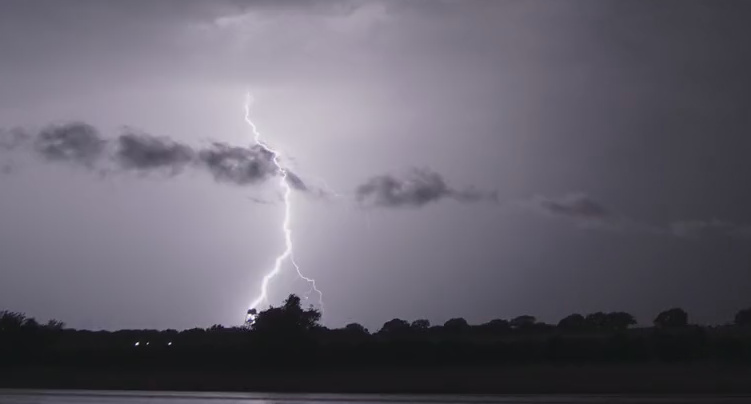 The remarkable time-lapse sequences are from the documentary Series First Footprints. 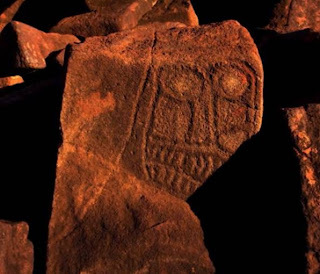 The scenery is breath-taking and the way that this has been shot adds to the mystery of those early Australians and the beauty of the art that they left behind. 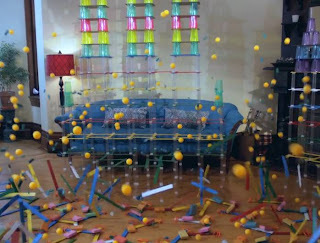 Is This The Best Falling Dominoes Video Ever? I doubt you will be able to take your eyes off this. 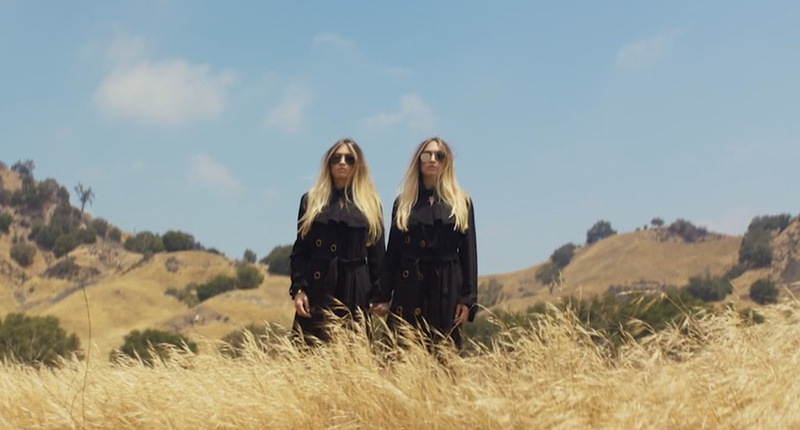 As a music video, this accompanies Tuna Melt by A-Trak & Tommy Trash. Yet I think that it is destined to be remembered as much (if not more) for the sight of thousand upon thousand of dominoes falling than the music (sorry chaps!). The dominoes in question are not all, strictly speaking, dominoes (loved the pieces of toast in the kitchen) yet they fulfill their primary non game-playing function perfectly - the fall over really well. The dominoes were set by the Kinetic King (aka Tim Fort), the video produced by Pier Pictures and Pomp&Clout. The whole thing was directed by Trunk Animation's Ryan Staake. 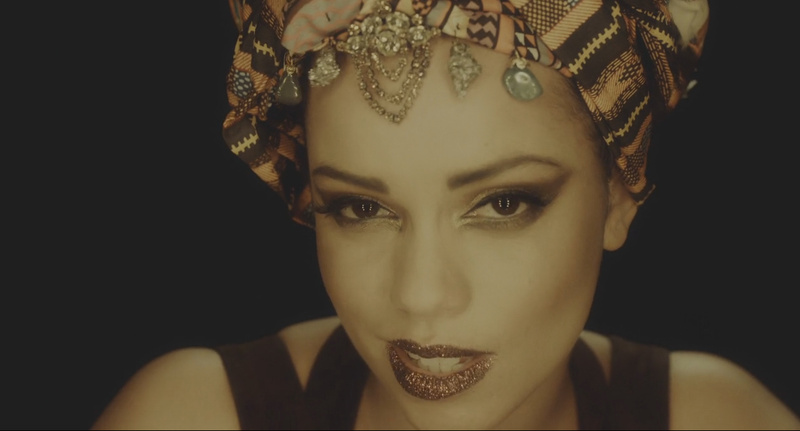 Little wonder that this is up for an MTV Video Music Award. 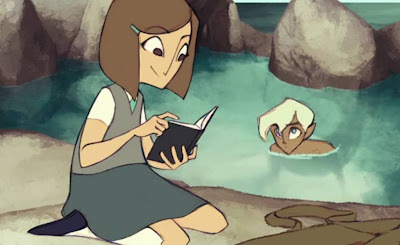 It isn’t often that I am utterly charmed by an animated short, but High Tide is truly an exceptional, heart-warming and just lovely piece of work. A young girl, on a school trip to the seaside, finds herself in the company of the merboy. That is, ladies and gentlemen, pretty much it (and therein lies the beauty of it) but there is a twist in the tail (did you see what I did there?) so keep watching this right to the end! High Tide was created by the very talented Kristin Kemper as part of her studies at the School of Visual Arts in New York. The idea of a spacecraft returning from space to a horizontal landing had been around for decades before the first operational space shuttle flight in 1982. A proposal had been submitted to NACA (National Advisory Committee for Aeronautics, NASA’s predecessor) in 1954, just eight years after the Second World War. 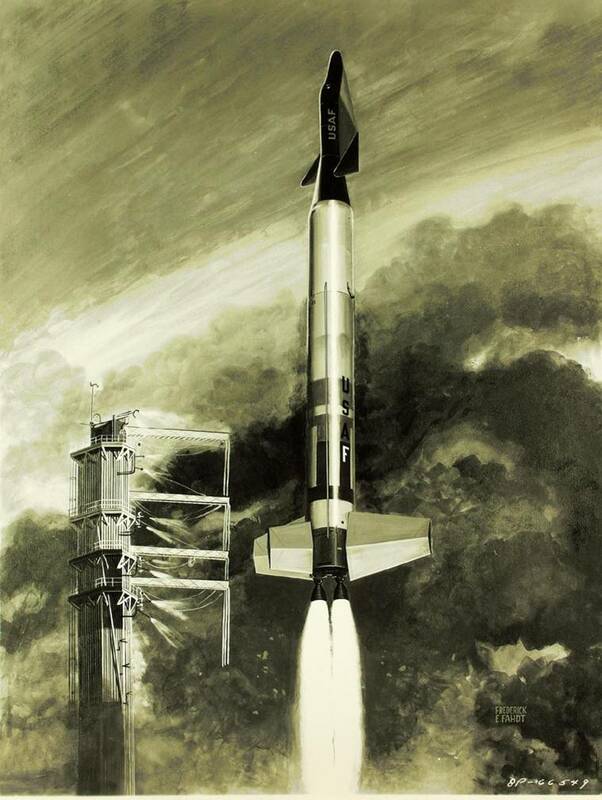 That proposal would ultimately become the X-15 aircraft but classified studies in to the next generation of space transportation systems continued. An important part of these studies was the production of concept art which could help senior military and political figures (as well as, later, the general public) to visualize the potential shape of things to come. Some of the concept art is remarkably prescient while others are more than a little off the mark. 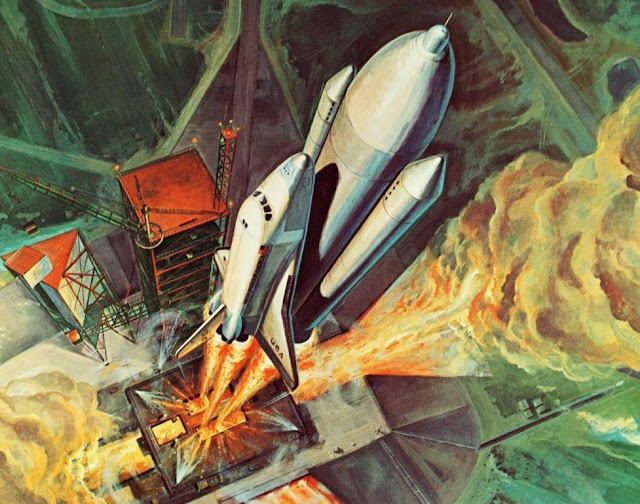 Now historical documents, the drawings for the space shuttle, created before the age of computer aided design, offer a fascinating insight in to how things may have been – as well as how they actually turned out. We all like a bit of Disney, don’t we? No? Tough, really, as I do! This mashup by Lindsay McCutcheon is extraordinarily well done and if you’re as much of a fan of Disney animations as I am then you will see any number of your old favorites in here. This is very clever work and must have taken an age to do – but is probably the best advert for Disney I’ve ever seen. She’s got perfect bone structure, skin, and beautiful eyes… But some deadly problems, that keep slithering out most insissssstently. Can she get through the audition, or will she leave them stone cold? The Ministry of Stories is a creative writing and mentoring centre for children in East London. 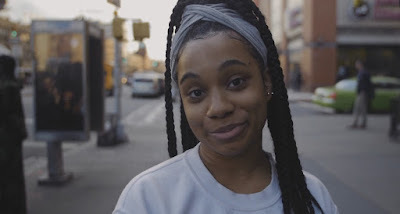 Stone Cold Catwalk is a short film for The Ministry of Stories 'Monster Monologues' project where they invited students in Hackney (aged 13-18) to write comic monologues for monsters, telling their side of the story. 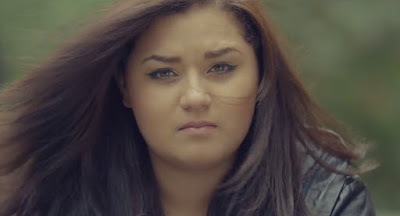 It was written by Hope, Alex and Zuhri (aged 13-18) and directed by Matt McDermott. Once upon a time in a small Dutch town called Lieshout there lived a family called the Swinkels. One day in 1719 they made some beer and the family haven’t stopped making it since. It does sound like something out of Hans Christian Anderson tale; perhaps they were enchanted by a thirsty fairy. 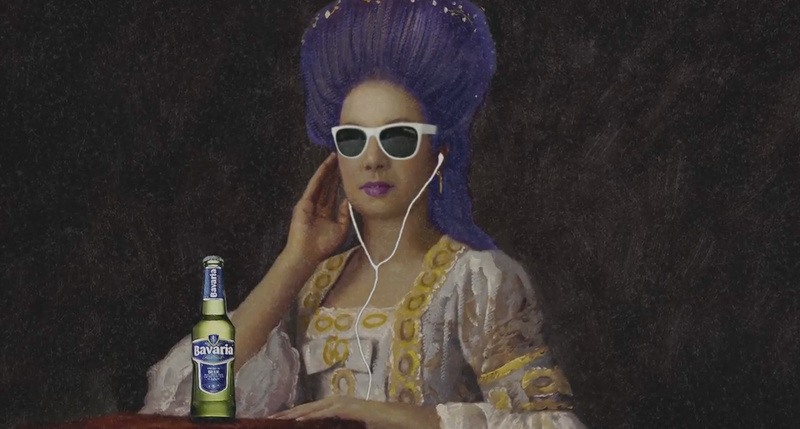 Whatever the case, Dutch brewer Bavaria is gearing up to celebrate three centuries of brewing. Although a lot has changed over time one thing perseveres – the brewery is still in the hands of the family. In fact it is now the seventh generation of Swinkels which runs the global independent company – and there aren’t that many families who can list that as one of their achievements! In fact the family also brew their beer in the same place using the same mineral water source as they did way back in 1719. This is something which they feel quite rightly needs to be celebrated. As such, these videos are their rather tongue in cheek slap on the back to themselves and something to put a smile on the faces of their loyal customers, old and new. 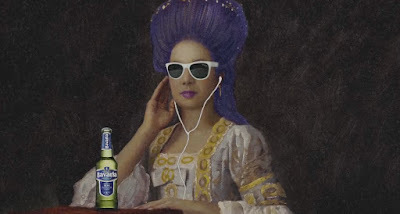 The gist is that although 300 years of brewing excellence is something that should definitely be at the cutting edge of contemporary fashion perhaps some of the clothing styles of the past are best left where they are. Take a look at these very funny videos and see if you agree! It hovers, it hums – but it is not a hummingbird. 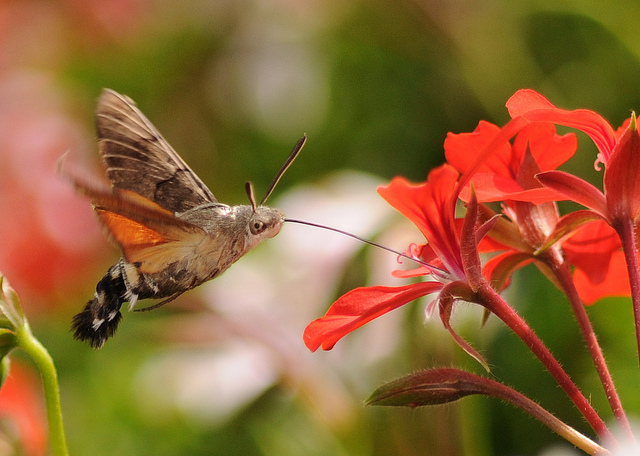 Take a look at one of, if not the most amazing, certainly the coolest insects on the planet - The Hummingbird Hawk Moth. The Ark in Space has a great feature on this very unusual species, an example of what is known as convergent evolution. When you see the full screen pictures this little guy will take your breath away. 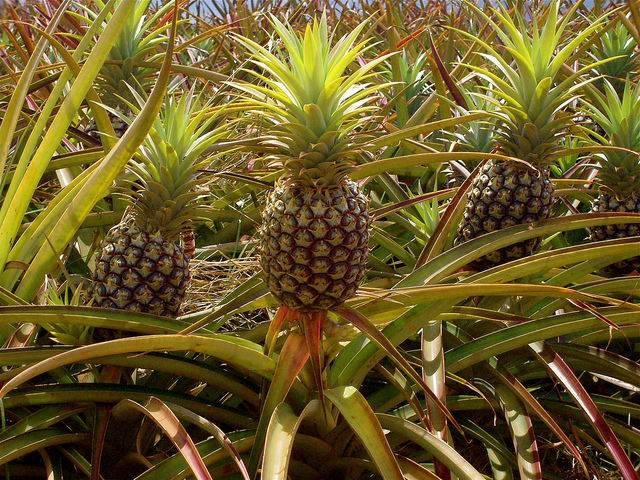 The pineapple: we eat them fresh, cooked, juiced, and preserved but probably with little thought about where they come from or how, in fact, they grow. So, the often vast plantations on which the fruit is propagated can be something of a revelation. 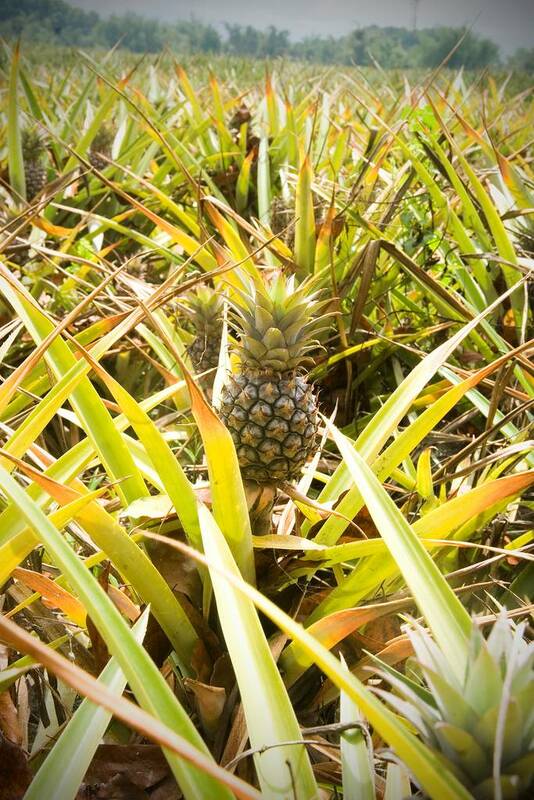 Welcome to the world of the pineapple. 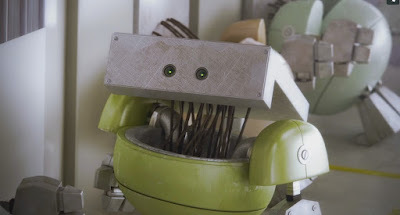 If you work for a living then you probably know how these little robots feel in the lives of repetition and mundanity. Yet one of them notices that another is sneaking off from his duties and decides to investigate. The decision is a revelation but for the robot that decided to take some breaks there will be consequences. Finito, very bitter-sweet, was created by Mauricio Bartok and Gabriel D'Orazio. Wakinyan is a Lakota word meaning thunder, or thunder spirit. The language is one used by native people of the American Great Plains. Creator Martin Lisius photographed the content during the spring of 2016, mostly in Texas, Colorado and the Nebraska Sandhills. It required thousands of miles driving, and being exposed to “biting flies, gooey mud, blowing dust, and long nights”. The result though, is superlative: the thunder spirit does indeed persist. 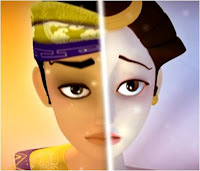 This animated short by John Bashyam has already enjoyed a considerable amount of success online but has only been made available for embedding on any old website like Kuriositas. now. I live close by but didn’t realise that the Greenwich School of Management had changed its name to simply GSM. To help with the rebrand they have, wisely, decided to listen to voices that sometimes don’t get heard: these are the very people they should be aiming for. Here is one of the videos by Glitch. If you like a little poetry then you will enjoy this. For advice about starting a degree you can also visit the GSM website. It is strange to think that this sarcophagus is eighteen hundred years old, so vivid are the carvings on its sides. 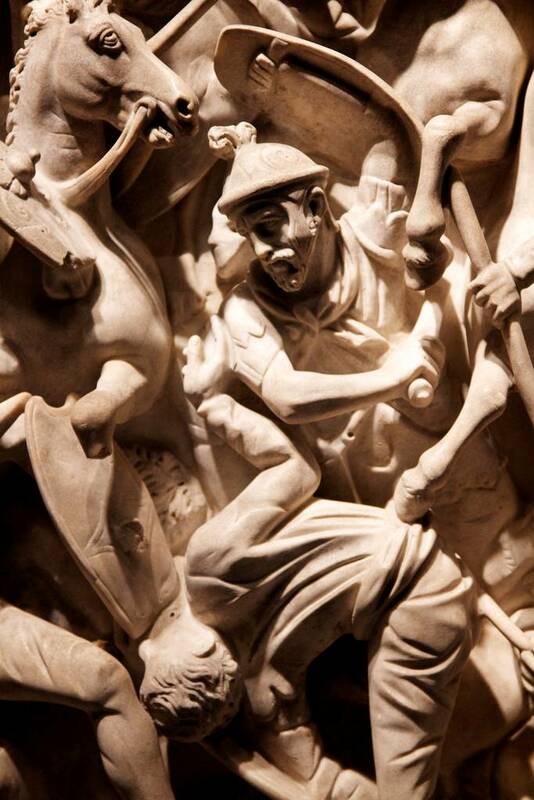 Who was buried inside is unknown, but there are facts that can be gleaned from the study of the ornate sculpting. 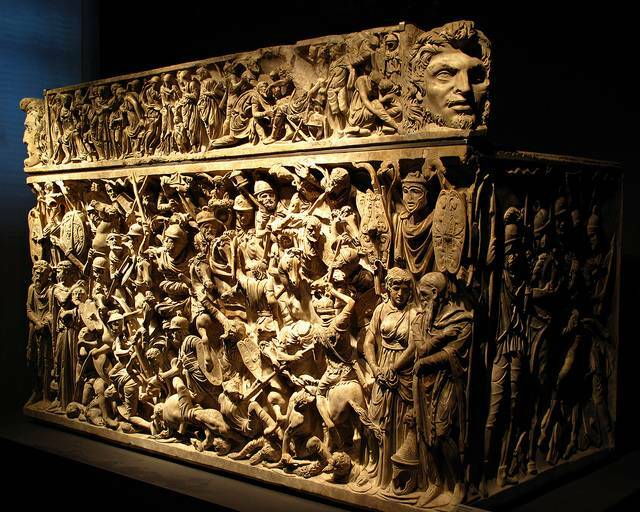 Housed in the National Museum of Rome, the sarcophagus is displayed in a darkened room under spotlights which show its decorative figures beautifully. Nature can take hold in precarious places. 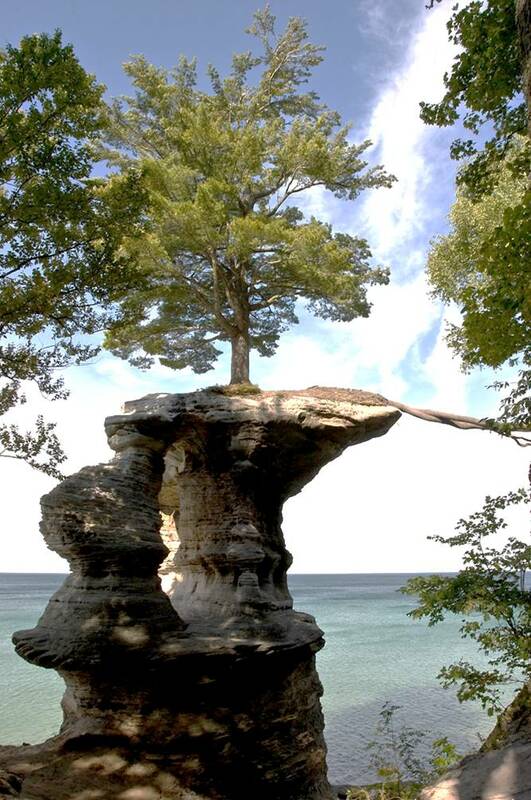 Chapel Rock on Lake Superior has a single tree perched atop its column. By rights the tree should not be there: the small surface area of land on the top of the rock is insufficient to sustain a tree of this size. There is hardly any topsoil, certainly not enough for an obviously thriving tree. How then does it flourish? This is both sad and sweet at the same time. The lonely moon goddess waits patiently for her love, the god of the sun. However, they can never be together and her life is spent weeping tears which turn in to stars. Yet they do come together at one special time but for how long? This animation was created by Pamela Suryadjaja who is an art student and part time student. It was created for her thesis project at Binus University. It's a lovely piece of work and bodes well for her future career. I love the artwork and her use of color. Binus University (also known as Bina Nusantara) is an university in Jakarta, Indonesia. The university's primary field of study is in information technology - it was formed in 1974. Five hundred years of beautiful, fascinating women in just three minutes? It may sound too good to be true but Philip Scott Johnson has put together this compilation of half a millennium of masterpieces. 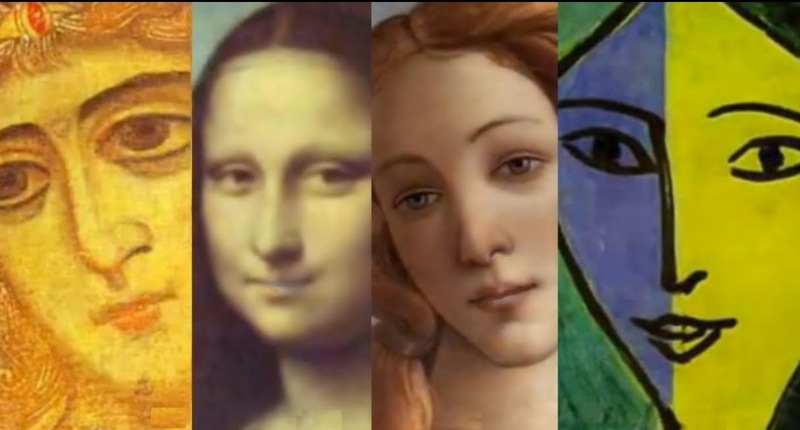 It is fascinating to see how art has evolved over the centuries. Plus if you are an expert and want to see just how many of the ninety paintings you recognize, click here to see the answers! It is hard to give up smoking, especially if you have been doing it and enjoying it all your adult life. 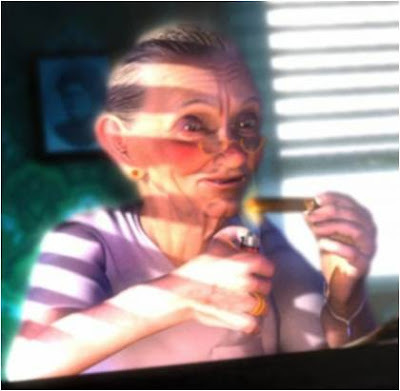 However, sometimes life can be a little cruel and here an inveterate chain smoker finds herself in sheltered accommodation for the elderly – where smoking is forbidden. Add to that a caretaker who is more than keep to stop people indulging in their tobacco vices and you have something akin to a geriatric covert operation which, you know, is never going to go well! Chainsmoker was created Ulf Lundgren of Lost Liner Productions back in 2001 but it has only just seen the light of day in terms of the internet. I have to say that although it is over a decade old the digital techniques used here still stand up very well indeed. Yet the most important elements of animation – character and plot – ensure that it would still be more than watchable however it was made. When people say that a place is picture postcard perfect there is usually the scent of slight exaggeration in the air, a hint of hyperbole which should perhaps be accompanied by a pinch of salt. 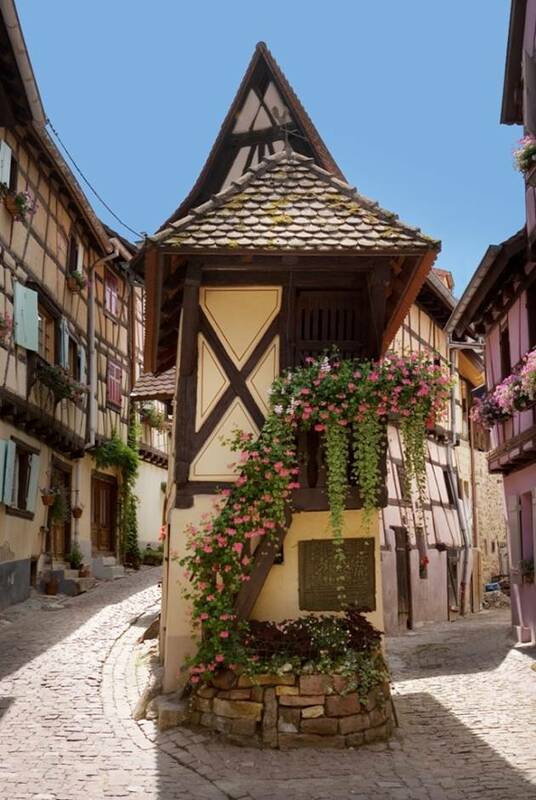 Yet Eguisheim, a charmingly picturesque village in north-eastern France can be said to be just that without any suggestion of embellishment. Perhaps if the hobbits and the munchkins got together they would live somewhere like this. Little wonder that the place was voted France’s Favorite Village (Village Préféré des Français) 2013. Take a look and discover why. If you are a traveler heading for a particular destination then it is always a good idea to look at how the people of that country perceive their own towns and villages and where they head for a break: it can be very telling. Why? 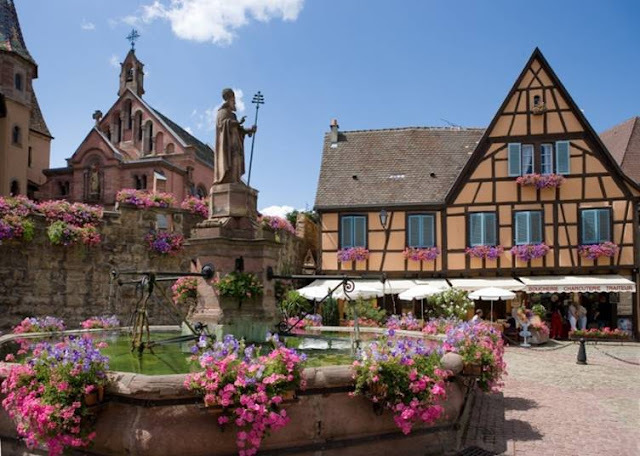 Precious gems like Eguisheim can sometimes be hidden away by a nation for itself to covet. 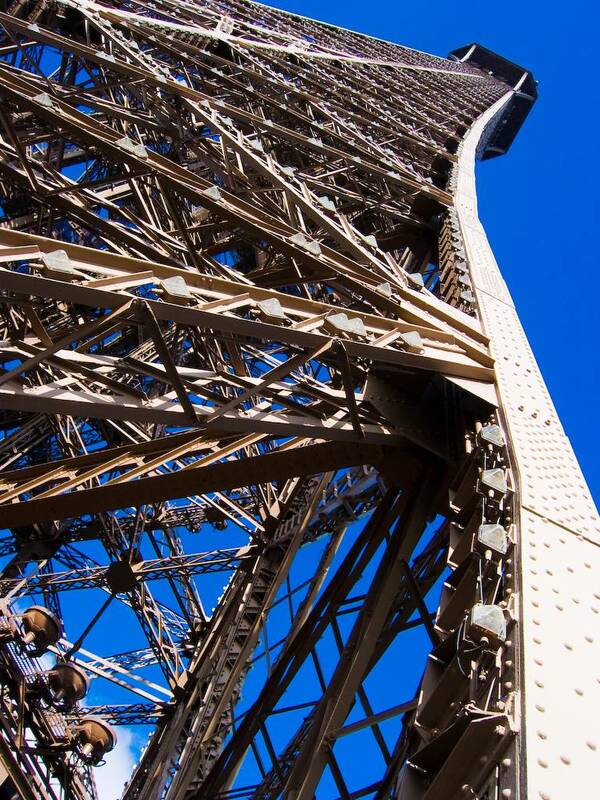 Mes amis, you have the Eiffel Tower! Leave us a little to call our own! The courting rituals of many species can be fascinating but none more so than that of our own, particularly when give such a marvelously Gallic treatment. 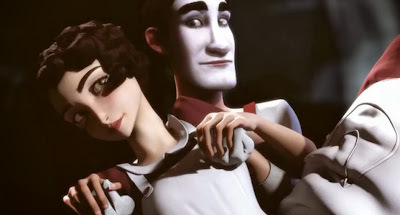 This animated short is almost impossibly romantic in a very French way. Little wonder then that it was created at the superlative Ecole Supérieure Des Métiers Artistiques de Montpellier (ESMA). This fine institution produces such amazing undergraduate work that we regularly feature it on the pages of Kuriositas. 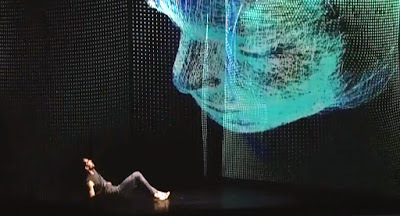 Intermission (Entracte in French) is a lovely piece where we get to share the intimate first moments between a couple as the hypnosis of love sets in. The students involved in the production are Valentin Dely, Damien Garrigue, Laury Guintrand, Valentine Hemery and Clélia Magurno. The music, which can make or break such an adventurous student project, is great too – and is by Anthony Touzalin, Olivier Defradat and Clément Osmont. Silicon;BootDrive has so many ideas going on at once that it can be a little difficult to keep up but that is just part of this roller coaster ride of a science fiction short. It tells the story of what happens to us a few years from now when a strange meteorite hits the seas. A simple premise but executed with a marvelous complexity. 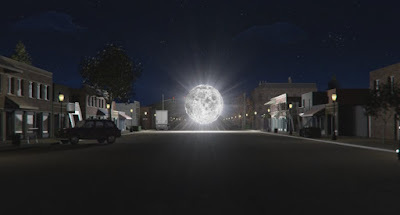 Directed by A.T., Silicon;BootDrive is VFX heavy and they are a delight to behold. The questions raised by the movie are more than can be answered in just a few short minutes but that adds to the enigmatic nature of the plot. Although the script may have done a little better with a first language English speaker at hand to iron out a few linguistic glitches that’s just a small grumble. 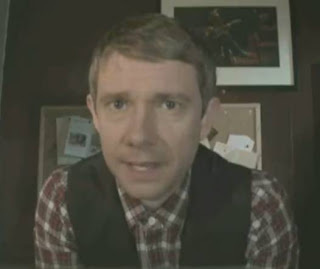 If you are a fan of Martin Freeman at his most deadpan and droll then settle back for you are in for a treat. Here he plays a struggling writer who has finished his play about people in the Sudan living with HIV and is now looking for a producer. He finds one but before very long his earnest and intense work has been transformed in to a frivolous, über-camp West End musical. HIV: The Musical also stars Julian Barratt as the monstrous Myles, every aspiring writer’s nightmare. It was written and directed by Joseph Patrick and Tim Woodall. This is another beautifully made animated short by Charlex – who should really think about working on something full length if you ask me, as their talents as creative designers are wonderfully put to work in the field of advertising but when they do their own thing as it were, the results are incredible. 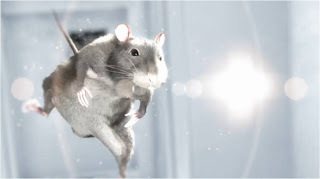 Written and directed by Alex Weir, One Rat Short tells the story of a rat who inadvertently stumbles in to a biomedical research lab inhabited by a rather nasty computer with arms and hundreds of other rats, used in behavioural experiments. Of course, there is one lady rat that particularly catches his eye. 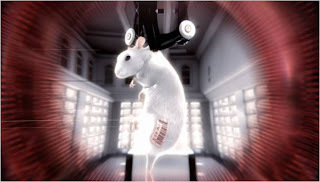 Now hold on a second before you move on – this is no Ratatouille (although I loved that for different reasons). 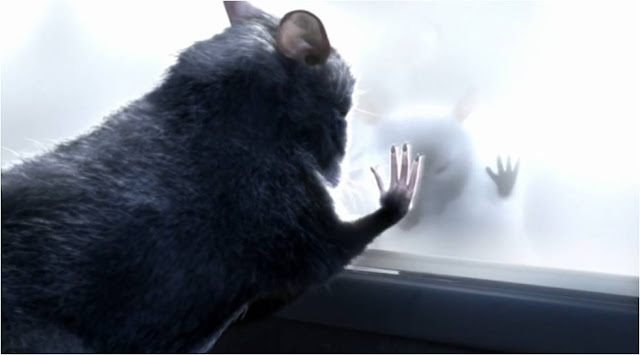 The rats while anthropomorphised are closer to the real thing – they don’t talk for starters – than we have seen in a lot of other animated works. I hope you will find One Rat Short as entertaining and as visually stunning as I did – this really does give other animators the high water mark by which to measure their own endeavours. There is also an ending that will bring a tear to your eye – don’t say you weren’t warned. Thanks to Charlex for another animated treat.